As reported in The Guardian, experts warned the government two years before the Grenfell Tower disaster that not enough was being done to tackle the risk of fire spreading through such buildings and that lives were in danger as a result. Whitehall-commissioned studies produced in March 2015 warned of potential fatalities unless officials addressed the danger of flames passing through concealed cavities. Officials kept the advice confidential. 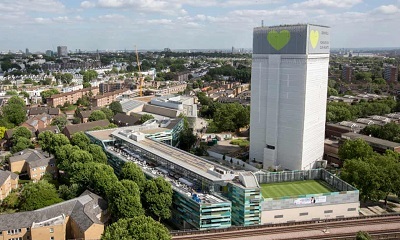 Experts believe that the same process in the cladding at Grenfell helped spread the June 2017 fire, which claimed 72 lives, including 18 children. Studies by fire experts at the Building Research Establishment (BRE) were blunt in their assessment that fire barriers installed in the wall cavities of some buildings were not performing effectively and that builders needed education on the dangers of getting things wrong. One of the studies presented to officials at the building regulations division at the then Department for Communities and Local Government said barriers intended to stop fires spreading were “often found to be missing or incomplete or incorrectly positioned”, which is what emerged later from investigations into the refurbishment of Grenfell on behalf of the public inquiry into the disaster. Another study warned that people had died because of fire or smoke spread in concealed spaces and “the potential risks and the potential losses remain high”. Inquiry investigations have also found that cavities and vertical channels in Grenfell’s new cladding system were probable contributors to the rapid vertical fire spread.